While Immanuel Kant famously denied the possibility of biology in the Critique of Judgment (1790), twelve years later Gottfried Treviranus not only asserted its possibility, but also demonstrated its very practice in his Biology (1802). What transpired in the 1790s to make biology possible as a science? 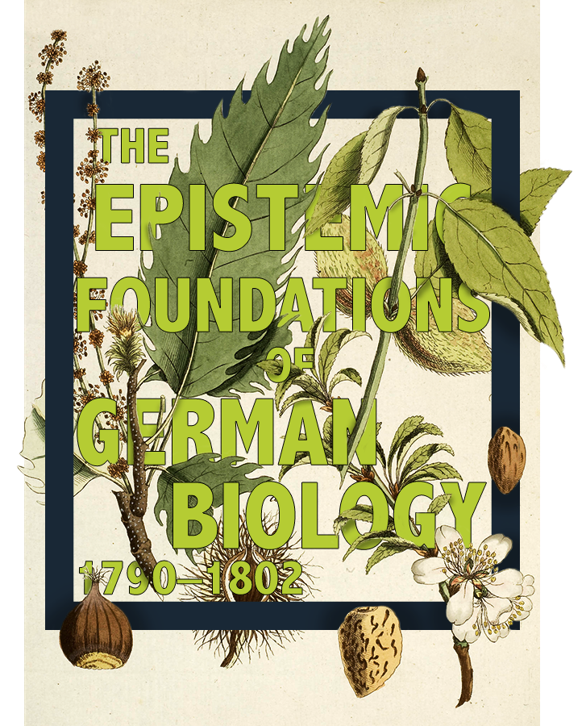 This dissertation takes up this question, offering, in response, a new interpretation of the epistemic foundations of German biology. I begin with a reassessment of the contributions to life science made by Johann Blumenbach, who diverged from foregoing mechanical approaches to life by introducing his theory of the formative drive. The theory spread quickly across and beyond Germany, counting Kant among its acolytes. Under the influence of the formative drive, Kant formulated, for the first time, the concept of the organism, which served as a touchstone for any thinker concerned with organic nature in the 1790s. I analyze this concept’s reception by three key figures: Carl Kielmeyer, Johann Reil, and Friedrich Schelling. The ostensible diversity of these thinkers belies their common attempt to establish laws of the organic world. To advance such laws, Kielmeyer applied the organism concept beyond the individual plant or animal, extending it to entire populations, kingdoms, and nature itself. Because of the concept’s predominance, even those opposed to it, like Reil, had to posit it as a starting-point, substantially revising it in the process. Schelling developed the most precise formulation of the organism’s logic, which reappeared, again with alterations, in Treviranus’s Biology. I find, in conclusion, that Kant and Treviranus were not as opposed as they first seemed to be, since their respective declarations were made for the same reason: they recognized the existence of a domain of nature that had eluded preceding methodologies of philosophy, science, and theology. To begin even to argue whether we could have knowledge of an organism, first we must recognize that it exists. Kant, Treviranus, and the others mentioned here first demarcate this biological domain, laying the foundation for what would become the modern discipline of biology. They brought to life, for the first time, the organism. A talk delivered to the New York Botanical Garden on the history of eighteenth century phycology.